When looking below at the BMI Chart for Men and Women with Age, notice a couple of things. 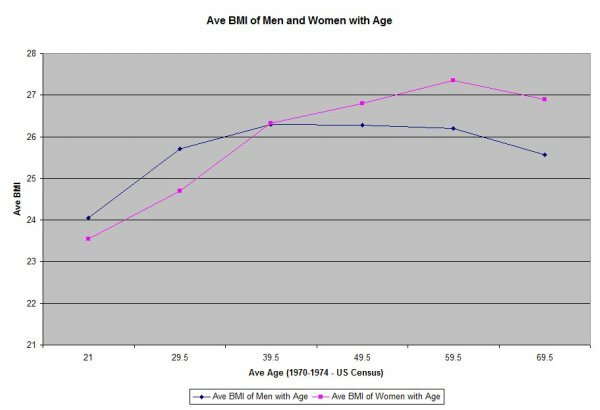 Both the ave BMI chart for men and the ave BMI chart for women go up with age. At the age of 40 the two lines cross, indicating that the BMI of women becomes higher after this age. Need more information about BMI charts for men and BMI charts for women?